Although the temperature was almost ninety degrees today we had some nice cloud cover and a little bit of a breeze which means beautiful diffused light. The flowers are in bloom and they are being constantly visited by insects of all types. 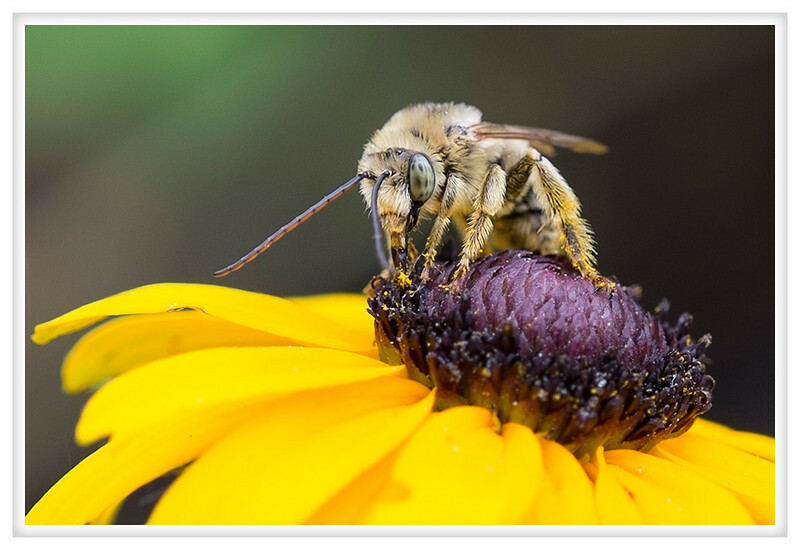 I love bees, maybe it is their large eyes and fuzzy bodies or perhaps it is because they are such great pollenators and essential parts of the ecosystem, I don't really know, but when I saw how this image turned out I knew it would be the one I shared today. I am still loving this little Fuji. The lenses are so sharp and the sensor captures colors beautifully. They process so nicely, so predictably, they are compliant and easy to work with.